We have received planning permission for a new mixed-use scheme on Fish Island in Hackney Wick as part of the Wickside Masterplan. Drawing on the concept of shared space where residential, working and public uses meet; Trego Road, is designed around a series of communal tiered yards, parks, and gardens. 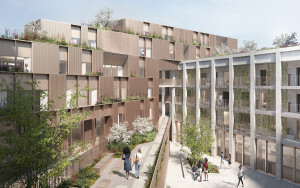 Providing 52 new homes, maker spaces and tiered public and private amenity spaces, the scheme has been carefully developed to respond to the scale and materiality of the existing and emerging context whilst ensuring the building possesses a character of its own within the streetscape. 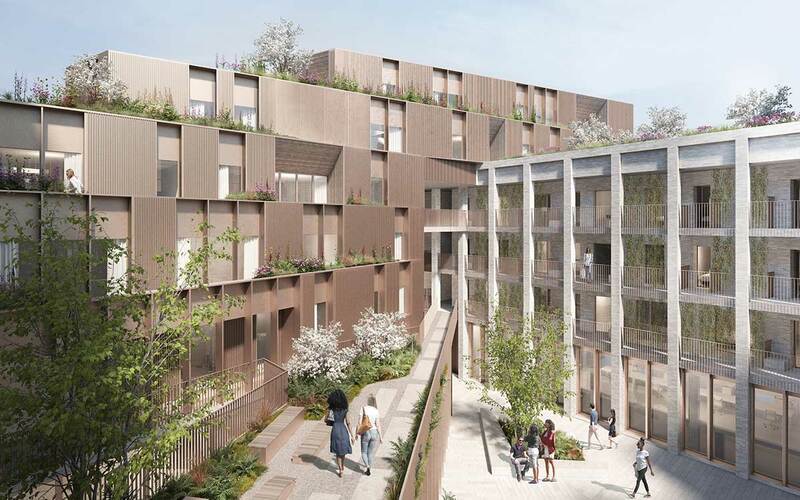 The project will accommodate a greater diversity of tenure and uses, as well as the in between “non saleable” shared spaces, required to create cohesive fully functioning and successful communities.